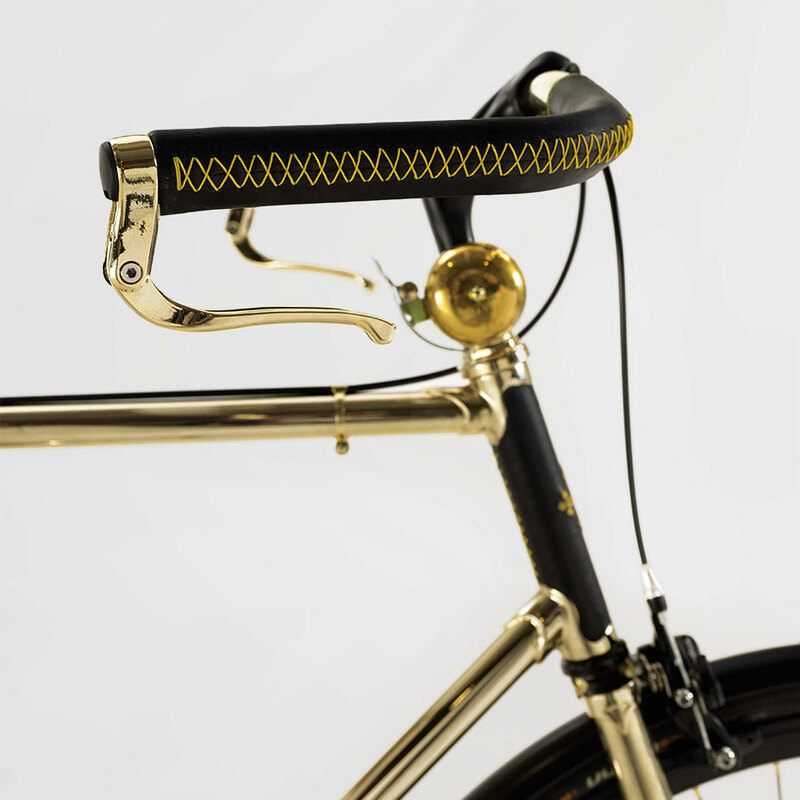 Owning a limited edition, golden vintage city bike means a lot of different things. It is a statement piece, it is an homage to slow living lifestyle and a celebration of Italian craftsmanship. 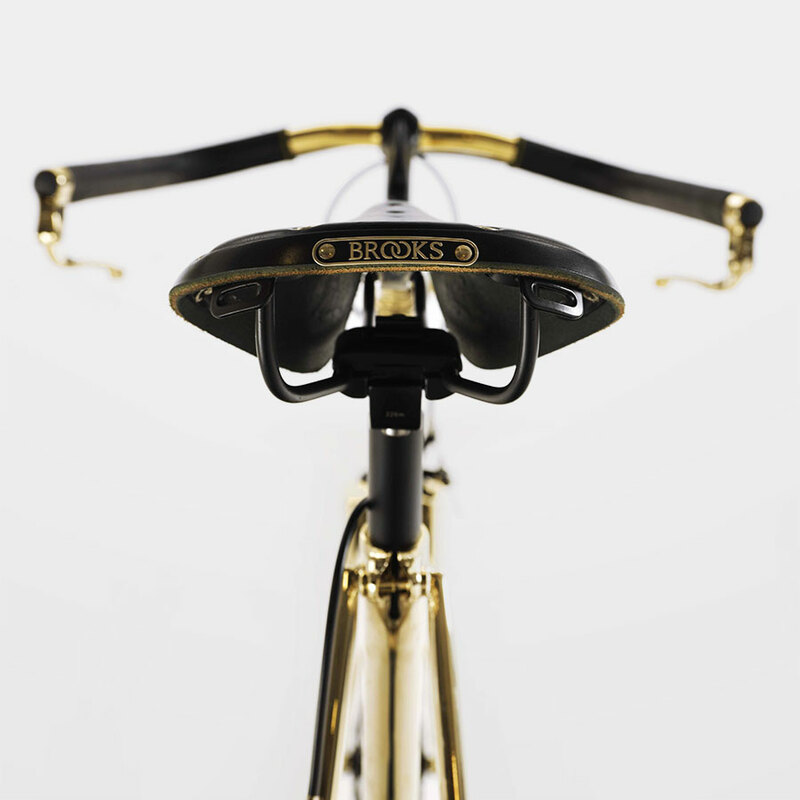 A golden bike expresses your personality, tells people who you are and how you live your life: in the name of style, design, in an endless research for beauty and unique pieces. Stand out in the city crowd, shine among the grey urban habitat, convert a simple object into a collectible piece. To be unique is to choose one of a kind accessories for you and your home. Just like a tailor made suit, Isidoro is glamorous in style but manly and sportive in spirit. Its golden steel frame has a classic diamond shape, offering a perfect balance between weight and performance. It is said gold is the new black: to us, gold is the colour of celebration, the colour we want to use to commemorate legendary Italian cyclists. 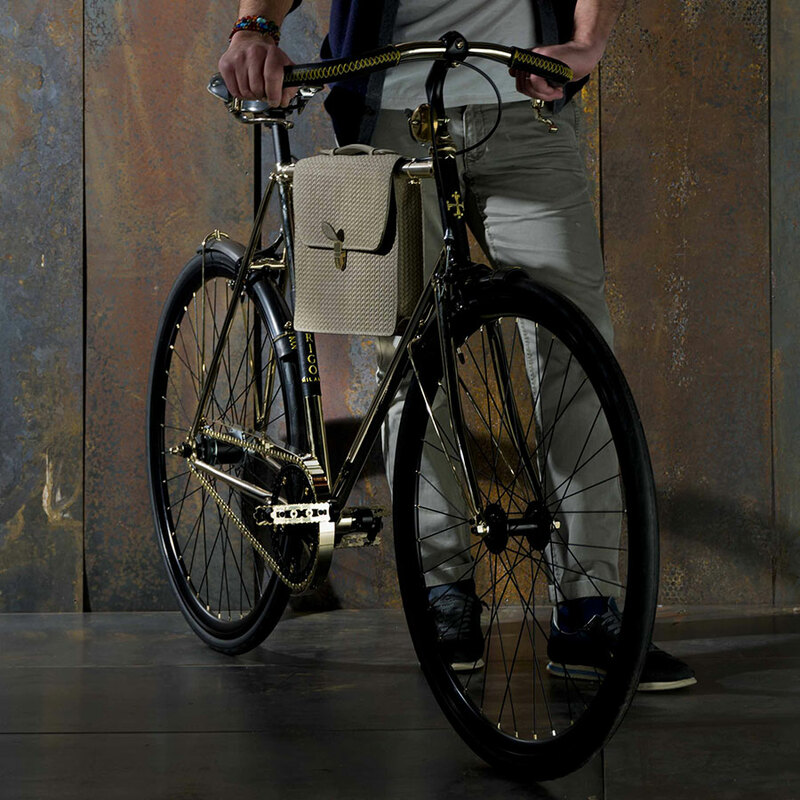 Epitome of sportsmanship, the Isidoro luxury bike is for style-conscious gents with a passion for sporting culture. This 2-speed city bike combines technical features with a timeless style defined by the golden steel frame, hand-crafted Brooks saddle and hand-stitched grips. Isidoro can be used for many purposes, from short distance commuting to riding around town or in the park. Customise yours with a refined addition such as the Libeccio laptop frame bag or the cup holder. 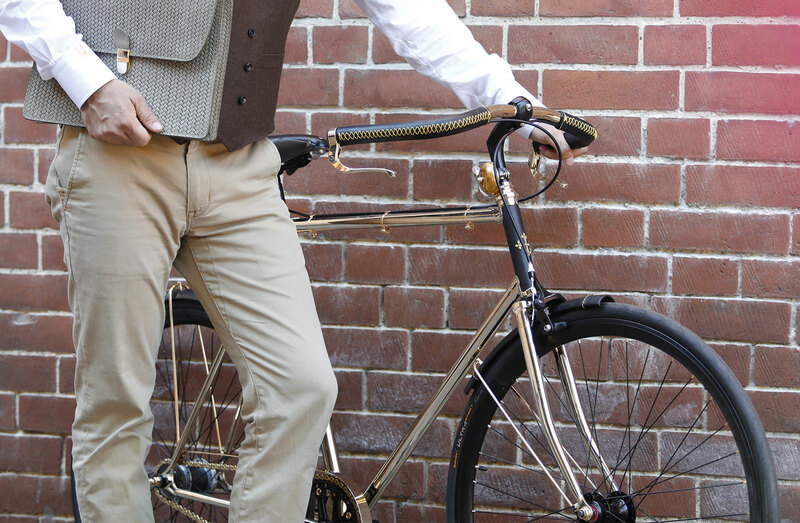 Inspired by classic touring bicycles, but dressed up in gold. 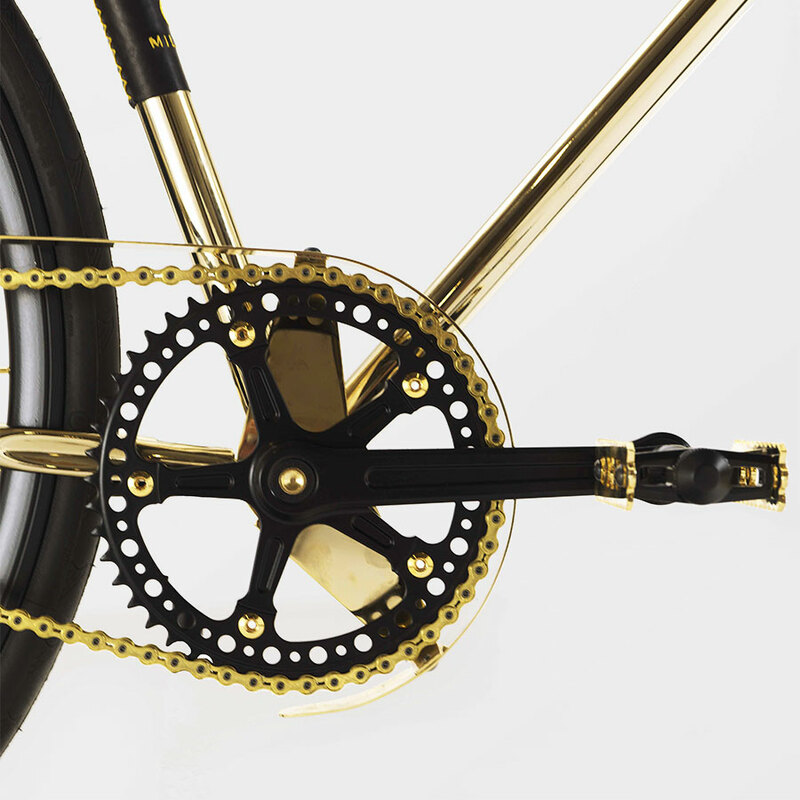 A bike is made of mechanic, technical details, artisanal processes and a great deal of passion. 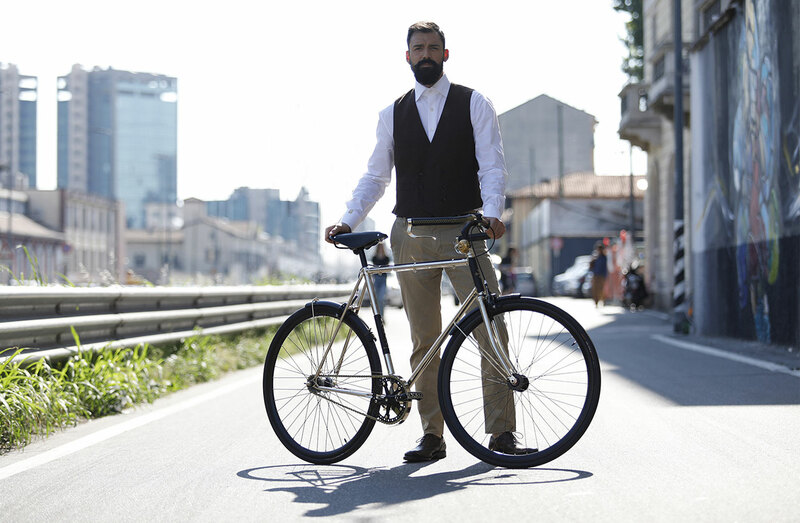 All these elements together create a vintage city bike with real personality, a limited edition that celebrates our heritage: Milanese fashion and design. 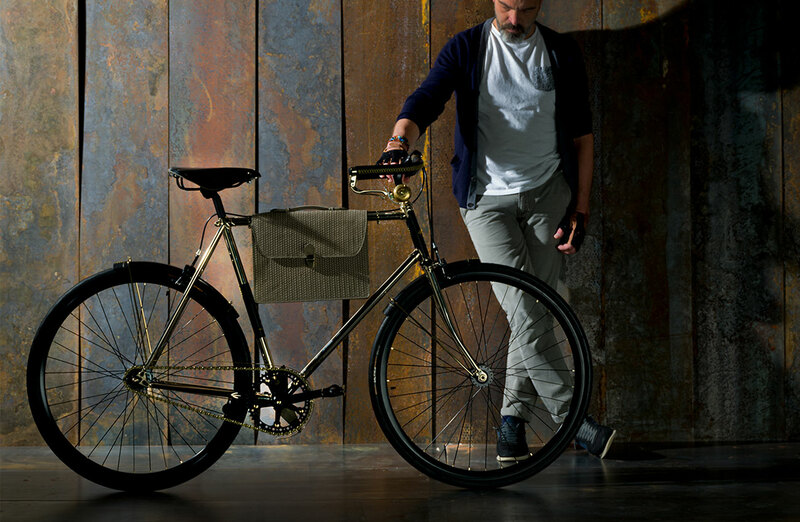 Classic city bike Isidoro is infused with tradition and history. Each bicycle is made to order by a master bike builder. Committed to offer the best quality, we use carefully selected and refined materials, such as steel and leather. Gold becomes a signature colour: it embodies sophistication and gives this bike an inimitable elegance able to stand the test of time. Tour de France 1952. Bartali and Coppi are climbing the Alpe d'Huez when an iconic picture is taken: the two legendary rivals share a water bottle. To Italians sport history is made of this: small but heartfelt gestures, loyalty and courage. For those who heard of it, for those who learn it now, for us: these memory episodes are the path we want to follow. 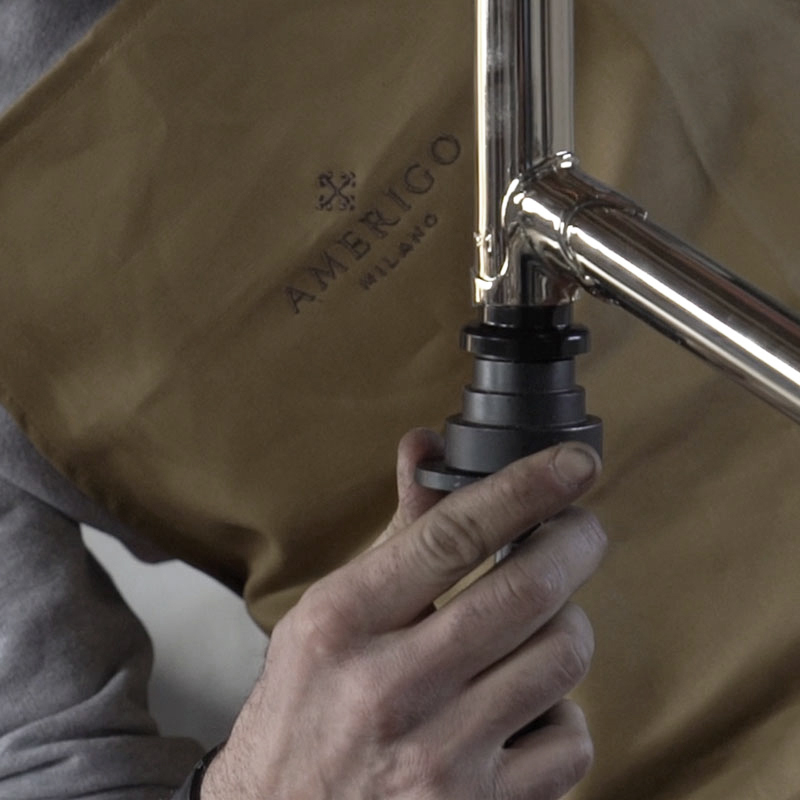 Here at Amerigo Milano we have strived to distill the very best of our craftsmanship tradition and Milanese style into a sturdy, durable and classic men bike. For over 100 years, the days before carbon and aluminium were around, steel has been king in bikes building. Frame, handlebar, chain guard and pedals are of steel construction and blend characteristics from touring and vintage urban bicycles. Grips are wrapped in black leather, like the mudguards and frame guards. Although Made in Italy is our thing, we could not do without a luxury British feature: the elegant Brooks B17 saddle with its unmistakable shape. Diamond frame and curved handlebar give this men city bike a slightly sporty yet comfortable riding position. The 2 speed bike features aluminium brakes and Made in Germany Continental puncture resistant tyres.